If you’re a Juggalo, the odds are good that you’re also a wrestling fan. If you’re a Michigan Juggalo, you’re in luck. 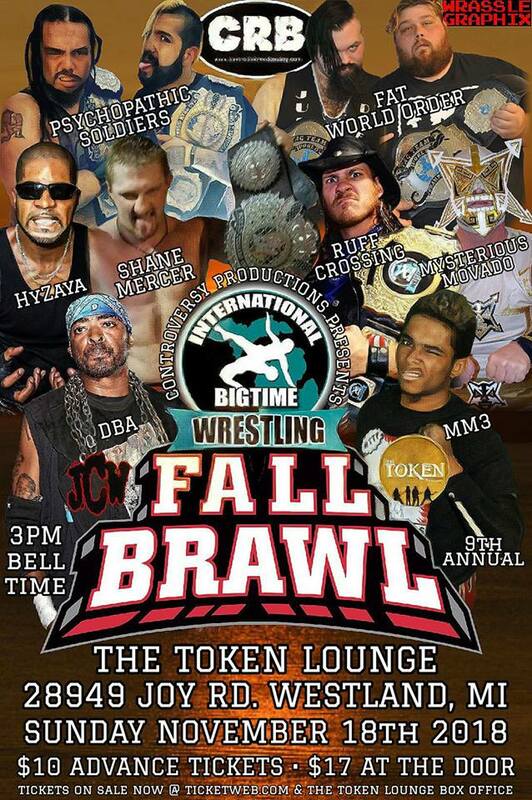 International BigTime Wrestling‘s 9th annual Fall Brawl event has been announced and JCW will be in the house! The event is being thrown by Controversy Productions on November 18th at The Token Lounge in Westland MI. You can pick up tickets for $10 at TicketWeb.com by CLICKING HERE or they’re $17 at the door. This is an all ages show so bring the whole family, homie!